Beautification Ministry - is responsible for the beautification of the church throughout the year. Bereavement/Benevolence Ministry -This ministry is designed to support families who have experienced the loss of a loved one, serving as liaison between the church and the bereaved family. Boys 2 Men - This ministry is designed to groom boys into the future spiritual leaders of their homes, church and community. Christian Education - This ministry is designed to teach the scripture with an emphasis on exegetical excellence. The church school also is designed to further the Christian's knowledge of the Word of God. Elijah's Prayer - This ministry is designed for members of this congregation to come together for special times of prayer. Particular emphasis is placed on prayers for the ministries of this church. Fisher's of Men - This ministry is designed to aid in the transforming and empowering the community so that families can be strengthened. Generation H.Y.P.E. - This ministry is designed to provide Christian guidance for the Youth of our church, equipping them to become productive Christians and citizens of society. Greeters - This ministry is designed to enhance the worship experience by providing a warm and welcoming ambiance to guests and members upon entering our campus. 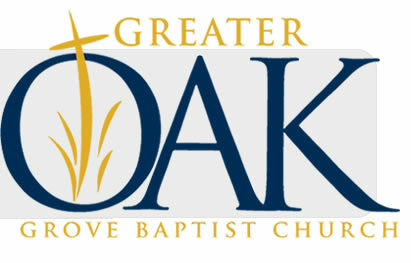 Keepers of the Grove - This ministry is designed to enhance the worship experience by providing an orderly entrance, seating and exit of the sanctuary during worship. Kitchen Ministry -This ministry provides culinary delights which enhance fellowship. This ministry when called upon provides meals for bereavement and special services. Men of Standard - The men’s ministry is designed to foster a close relationship between the brothers of the church through bible study, fellowship and ministry. The goal is develop the total man; Mind, Body, and Spirit. Minister & Deacon’s Wives Ministry - This ministry is composed of spiritual women who have been trained to aid the deacons in the performance of their ministry. Sight & Sound Ministry - This ministry provides audio recordings of all worship services. Sounds of Faith- consists of believers who exalt and praise our Lord and Savior through song for worship and special services of the church.